George Coulter was just seeking his fortune when he and his wife made the long trek from Pennsylvania to California in 1848. Yet the practical man saw more money could be made in selling merchandise to Forty-Niners. Coulter set up a tent store along a creek in the Sierra Nevada foothills, about 145 miles east of San Francisco. He opened a hotel in 1850 and developed the little town throughout his lifetime (he died in 1902 and is buried in the local cemetery). 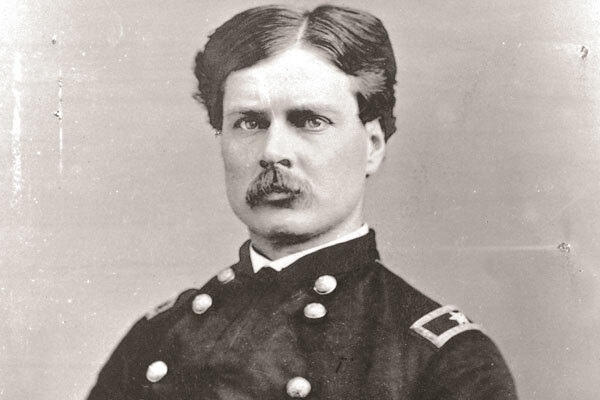 The citizens later named the place after him. Much of what Coulter and company built is still around—which is why Coulterville is our #4 True Western Town. First off, know this—Coulterville is a small town, with a population just under 2,000. The folks, past and present, are a strong bunch. Fires destroyed much of the place in 1859, 1879 and 1899; a flood did a lot of damage in 1862. The residents always persevered. The entire town is a California State Historical Landmark, including 42 buildings and sites. Almost all of them are privately owned and maintained—and they’re still in use. The Coulter House, which George built for his family in 1857 (along with the Coltiva Guest House where his friends stayed), is now a private residence. You can visit the adobe building that housed Sun Sun Woo’s store, which was built in 1851 to serve the large Chinese population (including an opium den in the back). A gift store now operates there (nope, no drugs). The E.E. Warne Store—constructed in 1899—now houses an antique store and the Rose Cottage Bed & Breakfast. The Jeffery Hotel is still in operation, 160 years after it first opened. President Theodore Roosevelt and temperance advocate (and hatchet wielder) Carrie Nation once stayed there. The 1856 building that housed the Wells Fargo/McCarthy’s General Store, where Buffalo Bill’s brother Nelson Cody once clerked, is now a part of the Northern Mariposa County History Center, complete with original interiors. The history center is also built around the remains of George’s Coulter Hotel and is a must-see stop, as it displays antique wagons, mining equipment and an eight-ton Porter locomotive, nicknamed “Whistling Billy,” that was shipped around Cape Horn and brought to Coulterville by mule team in 1897. The antique engine stands under the town’s Hanging Tree (which was used back in the good old days). Beyond the town’s annual maintenance of historic sites, local preservation efforts continue. Last year, local officials appropriated $12,000 to renovate the bandstand, which has been a landmark for more than 150 years. Most notably, efforts by the town to share naturalist John Muir’s 1869 journey through the Sierras has earned the designation of Highway 132 as John Muir Highway. The town’s visitor center is currently working to get the new designation on the maps. When you look at some of Muir’s sketches of local geography, you can see that Coulterville has not changed much! Some folks refer to Coulterville as the “town too tough to die” (don’t tell our friends in Tombstone). The sentiment is certainly true, and we like the eager attitude its citizens have toward sharing Coulterville’s impressive heritage. 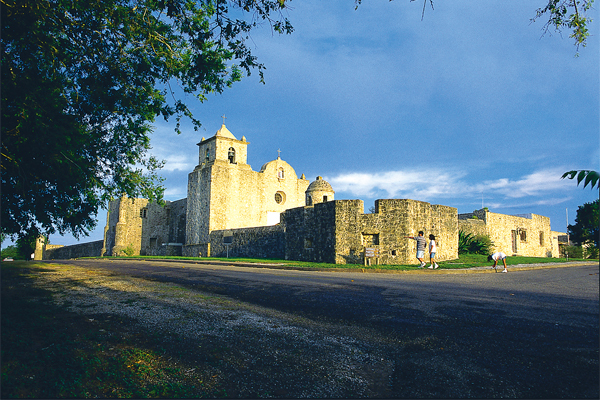 Goliad, Texas True West’s #9 True Western Town. 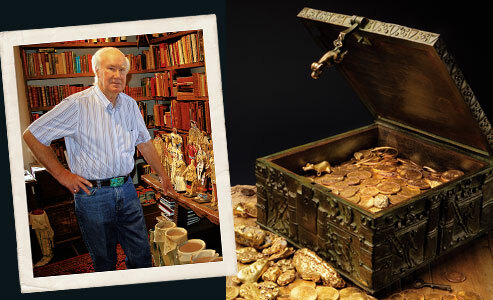 Modern-Day Treasure Hunt Unraveling the clues to finding Forrest Fenn’s hidden stash.